The old Nanterre School of Architecture is situated to the west of La Défense, the business district of Paris, a stone’s throw from the Charles de Gaulle Esplanade on the edge of the Parc André Malraux and 5 minutes walk from the RER A station Nanterre Préfecture. This School of Architecture, closed down in 2003, is the work of the architect Jacques Kalisz and is emblematic of the “cluster or mat-building” metallic architecture of the 70s. 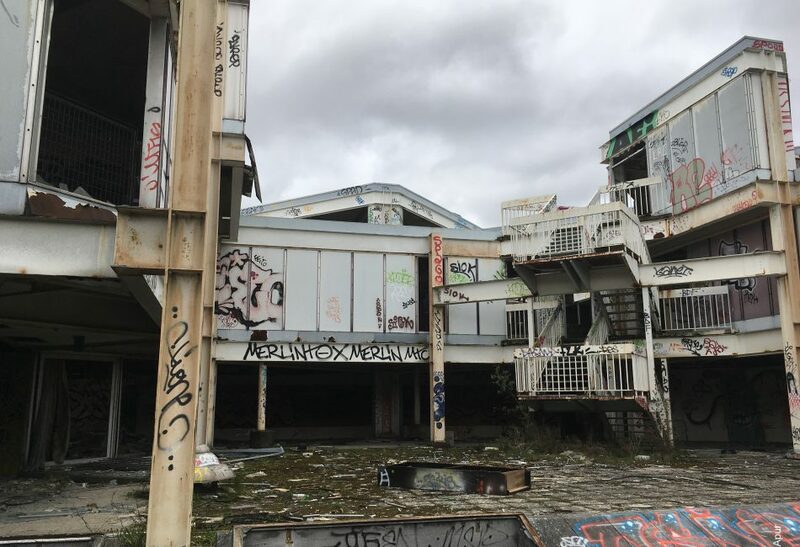 Flagged up as an interesting site in the Nanterre Local Urbanism Plan -PLU-, the building is derelict. The site transformation is to be imagined in respect to the building heritage and in continuity with the neighbouring park.